Despite having a fairly short-lived original run on ABC from 1981 to 1983, The Greatest American Hero is a beloved superhero show about a man who receives a supersuit from a gaggle of aliens but loses the instructions, so he has to figure out how to use it on his own. There have been a couple of attempts to revamp the show, but each effort has fallen flat — until now. Perhaps. In 1986, there were hopes of rebooting the show on NBC with much of the original cast, and there was even a pilot filmed, dubbed The Greatest American Heroine. It didn't get picked up, though, and was just added to the original series' syndication run. This time around, the show has a put-pilot deal with ABC, according to io9. Though the cast hasn't been determined yet, it will be written and produced by Rachna Fruchbom and Nahnatchka of Fresh Off the Boat. 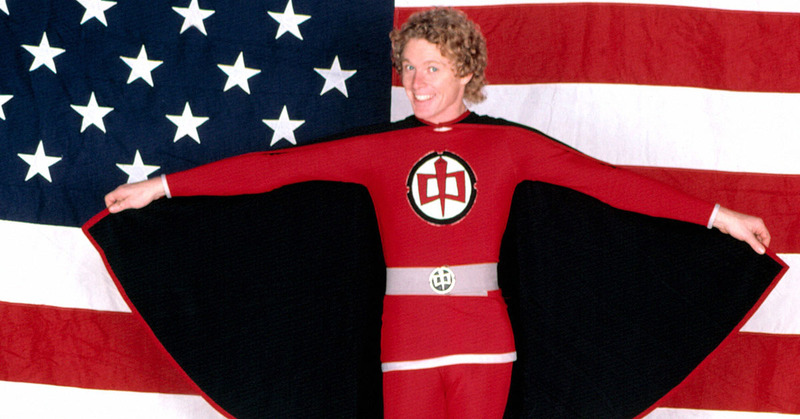 Rather than having the Greatest American Hero be a white man from Los Angeles, originally played by William Katt, it'll be a heroine this time around. Deadline reported that the main character will be Meera, a 30-year-old Indian-American woman from Cleveland who's talents lie in drinking tequila and doing karaoke. In other words, someone we'd want to be BFFs with. The real question, though, is what will the show's theme song sound like? The show's theme song, "Believe It or Not," performed by Joe Scarbury was such a monster hit. Will this reboot feature an all-new song? Will it be a good remake? Or will it be as cringeworthy as Fall Out Boy's cover of "Ghostbusters"? After all, the original inspired this gem, and can anything really top that?